Membership of MyNEXAis limited only to the registered owners of cars sold through NEXA Network ofMaruti Suzuki India Ltd. The membership is subject to payment of onetime membership fees as decided by Maruti Suzuki India Ltd.
Any person who desires to become a member of MyNEXA shall be required to fill an Application Form and submit documents described therein. In case of furnishing false, untrue, or incomplete information, or non-submission of any document, Maruti Suzuki India Ltd reserves the right to accept or reject the Application and their decision with regard to such acceptance or rejection shall be final and binding and non-contestable. Maruti Suzuki India Ltd. would not be responsible for any damaged / mutilated / lost-in-transit / incorrectly filled Applications. In all such cases the applicant would have to reapply for MyNEXA. MyNEXAmembership does not ensure any preferential treatment or additional privileges, other than those schemes / offers as announced for the benefits of MyNEXAmembers from time to time, for MyNEXA member at NEXA Network. Maruti Suzuki India Ltd. reserves the right to withdraw / amend the benefits of MyNEXA member on account of non-adherence to MyNEXATerms & Conditions. In all such cases decision of Maruti Suzuki India Ltd would be deemed final and binding. Maruti Suzuki India Ltd. reserves the right to withdraw the benefits of MyNEXA and / or terminate the membership status of any MyNEXA member without assigning any reason. MyNEXA members who voluntarily choose to close MyNEXACard can use the benefits for a period of 45 days from the date of said closure of MyNEXA Card, post which period the said benefits shall be withdrawn. The date of closure will be the date when such request from member is received by MSIL. MyNEXA Card is the exclusive property of Maruti Suzuki India Ltd. for the purpose of issuance and financial transactions and MyNEXAmember shall comply with, and be bound by, applicable Maruti Suzuki India Ltd. Terms & Conditions. Card Usage / Points Earning. All benefits related to MyNEXA would start from the date of issuance ofMyNEXA Card and not from the date of the application. After the date of issue of MyNEXA Card and during the validity period of MyNEXACard. On presenting MyNEXA Card at the time of settling the bills. Loyalty Points will be awarded only on the amount spent by MyNEXAmember. MyNEXApoints earned on transactions with MyNEXA card would be as per the procedure and guidelines described in the welcome letter & Kit. These procedures and guidelines shall be subject to change at any time at the sole discretion of Maruti Suzuki India Ltd. without any prior intimation to MyNEXAmember. The valuation of MyNEXA points and the rate at which these are allotted shall also be subject to change at any time at the sole discretion of Maruti Suzuki India Ltd without any prior intimation to MyNEXAmember. Maruti Suzuki India Ltd. reserves the right to change / alter / revoke MyNEXAPoints given on each transaction without communicating it to MyNEXAmembers and the decision of Maruti Suzuki India Ltd. would be final and binding. MyNEXA Card, for the purposes of allocation and redemption of MyNEXA points is acceptable only at NEXA Network. If any MyNEXAmember move to a city where there is no NEXA Network and/or MyNEXA is not active , Maruti Suzuki India Ltd.would bear no responsibility and would not be liable to cover for any loss of benefits that might accrue to MyNEXA member in such a case. MyNEXA Points awarded at NEXA Network during any of the promotions / events organized at NEXA dealer end would be at their sole discretion. Maruti Suzuki India Ltd. would bear no responsibility for MyNEXA points being awarded in such events and or promotions. 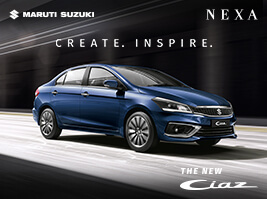 Maruti Suzuki India Ltd. reserves the right to refuse MyNEXA member referral points if any transaction is not in accordance to these Terms & Conditions or is vitiated by fraud, misrepresentation, cheating, forgery or any kind of concealment of facts and / or is done with an intention to bring about / commit the same. In all such cases, Maruti Suzuki India Ltd.’s decision would be final and binding. 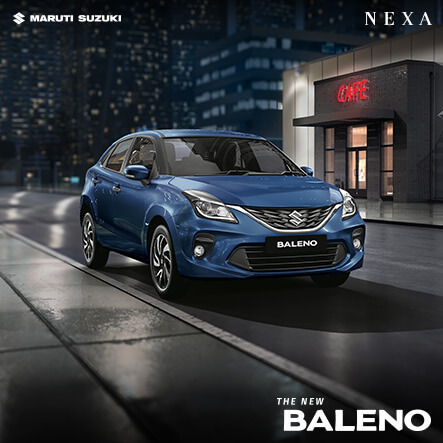 Maruti Suzuki India Ltd. reserves the right to refuse MyNEXAmember referral points to bankers, financers or mechanics that are professionally involved in selling or assist in selling cars even if they are MyNEXAmembers. They would, however, be eligible for other benefits withinMyNEXA. All employees of Maruti Suzuki India Ltd., Maruti Suzuki Authorized network & NEXA Network shall not be eligible for the referral points. All insurance cases done through MyNEXA would be subject to standard rules and regulations of IRDA. In the event of MyNEXAmembership being cancelled or put on hold due to any reason, MyNEXAmember would not be eligible to get any MyNEXA points on the transactions done through MyNEXA Card till the time his / her MyNEXA membership is renewed. During such time, MyNEXAmember would also not be eligible to participate in any of the lucky draws / events / schemes as organized by Maruti Suzuki India Ltd. under MyNEXA. Transfer of points amongst MyNEXA members shall not be allowed or permitted in any manner. MyNEXA Points accrued during a particular transaction cannot be redeemed against the same transaction. Maruti Suzuki India Ltd. does not provide any warranty and would make no representation in relation to the quality of goods and services as would be provided by MyNEXApartners and will not be responsible if the goods / services are defective / unsatisfactory in any way. Services redeemed against MyNEXA Points in MyNEXAwould not be replaceable or refundable in cash, neither could they be exchanged for any other alternative denominations. Services would be given on the basis of the total MyNEXA points that the MyNEXAmember would wish to redeem. In case the value of service / product requested for is more than MyNEXApoints redeemed, MyNEXAmember would be required to pay for the differential amount through card or cash. MyNEXAexchange benefit can be availed only when MyNEXA member has accumulated 500 MyNEXA Points. Redemption of MyNEXApoints against the insurance of car sold under NEXA Network would be subject to rules and regulations of IRDA. Maruti Suzuki India Ltd. is authorized to debit the account of MyNEXAmember for any redemption, if credited incorrectly earlier, and would accordingly inform MyNEXAmember. 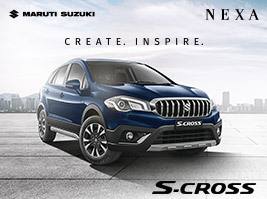 Maruti Suzuki India Ltd. reserves the right to cancel, change or substitute the rewards or the reward conditions or the Terms and Conditions of MyNEXAat any time without assigning any reason and without any prior notification. However any such changes shall be communicated to the MyNEXAmembers within a reasonable period of time. MyNEXApoints earned by the MyNEXAmember would remain valid till 60 months (5 years) from the date of accruing of MyNEXApoints by MyNEXAmember. Maruti Suzuki India Ltd. shall have right to use the MyNEXA Points that are not used by MyNEXAmember within a period of 60 months (5 years) from the date of allocation of MyNEXA Points and those MyNEXA points shall be deemed to have lapsed as far as their use by MyNEXAmembersare concerned. After this period of 60 months (5 years) MyNEXA points and their equivalent rupee value would become the property of Maruti Suzuki India Ltd. and MyNEXAmember shall have no right to claim any benefit under the same or agitate it in any manner or forum/court. Minimum threshold limit for redemption of MyNEXApoints at any point of time would be 500 MyNEXA Points. MyNEXACard shall be accepted only at NEXA Networkparticipating in MyNEXA. MyNEXAmembership is non-transferable or assignable. On becoming a MyNEXAmember, the applicant would authorize Maruti Suzuki India Ltd. to use the information and details submitted for marketing and communication purposes, solely to enhance performance of MyNEXA. Maruti Suzuki India Ltd. shall not in any way be liable or be under any obligation to the member, if MyNEXA Card is withdrawn, discontinued or modified due to any statuary enactments and judicial / quasi judicial orders or otherwise. The decisions with regard to the levy of the one time fee / other charges underMyNEXA Card would be taken by Maruti Suzuki India Ltd. at their sole discretion. Maruti Suzuki India Ltd. would be authorized to take any administrative and/or legal action against MyNEXAmember in the event of MyNEXAmember carrying out and / or attempting to carry out any fraud, misrepresentation, cheating, forgery, any kind of concealment of facts or abuse of MyNEXA cardor of the rewards and benefits underMyNEXA. This shall include forfeiture of the accumulated MyNEXApoints and related rewards, and could even result in the cancellation of MyNEXAmembership. Maruti Suzuki India Ltd. reserves the right to add and / or alter, modify, change or vary all or any of MyNEXATerms and Conditions at any time, without assigning any reason and without previous notice to MyNEXAmembers. All questions or disputes regarding eligibility for participating in the MyNEXAshall be resolved by Maruti Suzuki India Ltd. and the decision of Maruti Suzuki India Ltd. shall be final and binding on MyNEXAmember. Failure on part of Maruti Suzuki India Ltd. to enforce a particular term and condition does not constitute a waiver of that Terms and Conditions by Maruti Suzuki India Ltd. The Terms and Conditions contained herein constitute a binding agreement on the MyNEXA Card member and shall be governed by laws of India. All disputes and differencesrelating to MyNEXAis subject to the exclusive jurisdiction of New Delhi courts only. Welcome & Renewal Benefit of 1000 Reward Points respectively is upon realization of Annual Membership Fee. Cash advances, fees, and other charges do not accrue any reward points. Transaction amount less than Rs.150 will not accrue any Reward Points. For exciting gifts from an exclusive rewards catalogue, at applicable redemption rate. Please click here for further details. Spend Rs.15,000 within first 90 days from card set up date and get waiver of 1st year membership fee. Spend Rs.1,00,000 in a year and get waiver of next year’s annual membership fee. Charges on Revolving Credit: Initial interest rate at card issuance is 3.40% (monthly) or 40.8% (annually). This charge can change periodically based on spend, payback and utilization patterns. The maximum interest rate, in the event of default, is 3.5% (monthly) or 42% (annually). Card issued against Fixed Deposit- 1.99% per month (23.88% annually) applicable from transaction date. Cash Advance charges: 2.5% of amount withdrawn or Rs.300 whichever is higher.